Recently, the project logistics team at C.H. 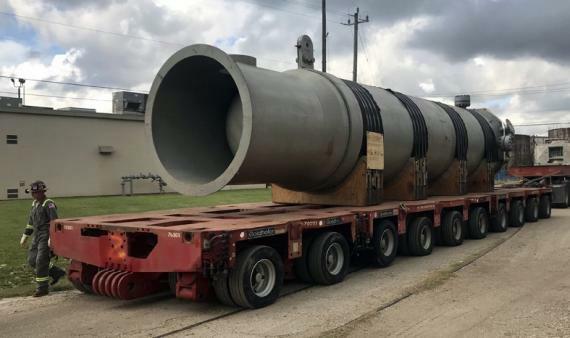 Robinson helped a company manage the move of a pressure vessel from a plant closure in Texas to a new location in the United Kingdom. The vessel measured 38’9” L x 8’6” W x 10’8” H, and the project scope entailed transporting the cargo from the plant to the port, and then loading it onto the ocean vessel. It’s not unusual for cargo to have to wait at the terminal before it can be loaded onto a vessel, and this was one of those times. 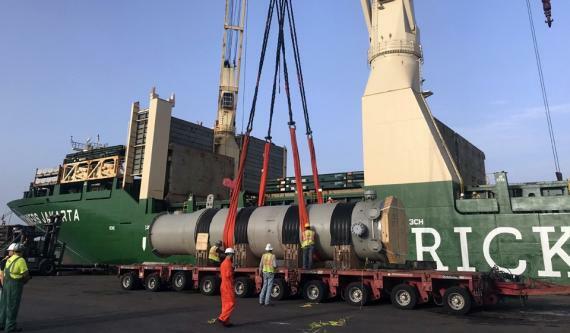 However, the team negotiated to keep the cargo on the truck for six days until the vessel was ready to load without incurring any detention charges, which also saved on additional crane and terminal fees. 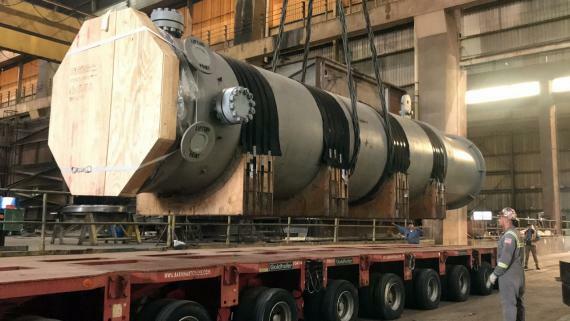 The large break-bulk shipment required a great deal of due diligence and preparation. The unit was very heavy—close to 310,000 pounds. It took the team’s close attention to detail at every stage—from lifting the cargo, to trucking the equipment to the terminal, to loading it onto the ocean vessel—to successfully complete the project. 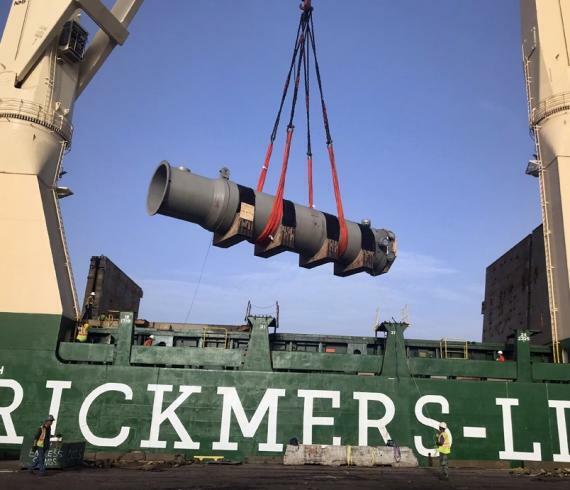 Central to all of these efforts was obtaining the shipper’s approval on the lifting drawing, and the project team spent the time and attention required to achieve this task. They also worked closely with the vessel’s load captain and stevedore to decide the best way to lift the piece from truck to ship. "Thanks to the comprehensive planning and extensive experience of the project team, all this hard work paid off. Everything went according to plan, and the cargo was loaded safely and securely."